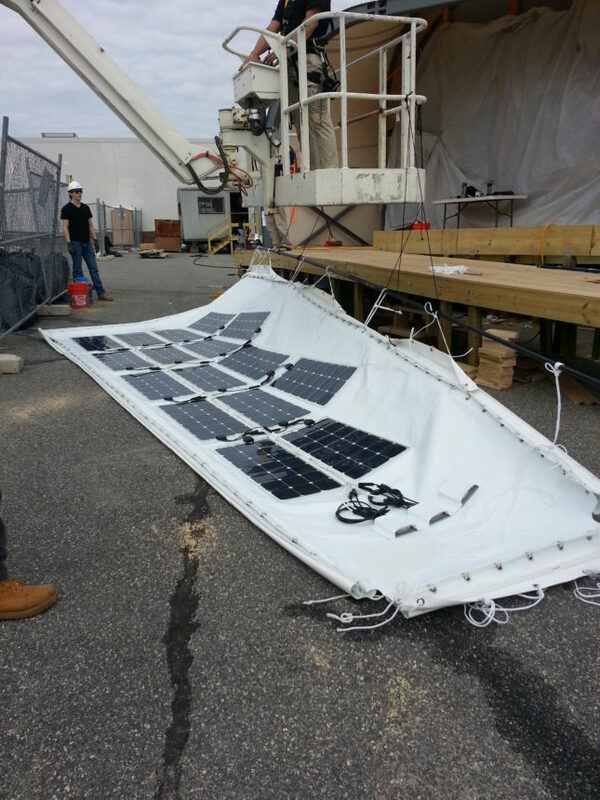 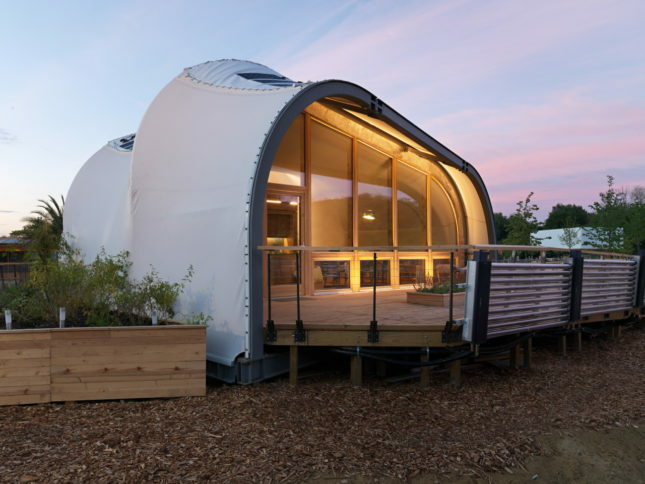 Co-founded by Colin Touhey, Todd Dalland, and Robert Lerner, Pvilion is pioneering the design, engineering, fabrication, and installation of flexible solar solutions. 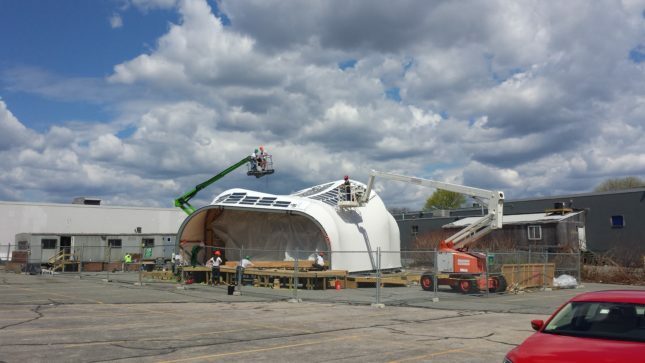 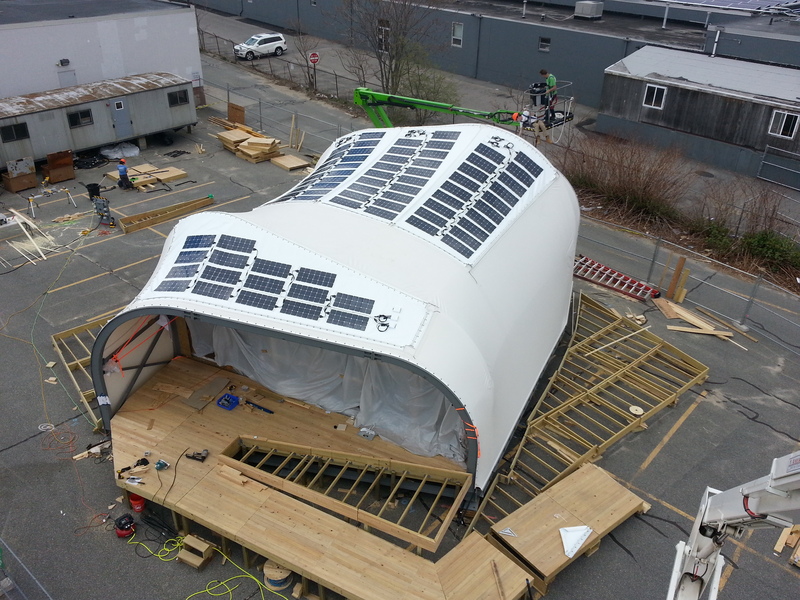 For their 2014 Solar Decathlon project—a collaboration between RISD, Brown University, and University of Applied Sciences Erfurt (Germany)—Pvilion provided engineering consulting services on the structural design and membrane roof system. 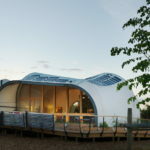 The project team questioned if a membrane roof house could be designed to meet strict passive house energy codes. 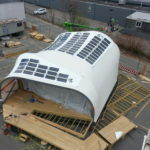 The answer was a resounding yes—what came to be known as the Techstyle Haus is currently the only fabric structure that meets passive house standards, producing 50% more energy than it consumes. 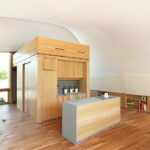 The house was originally constructed in Providence and then disassembled, placed in crates, and shipped to France for relatively easy re-assembly at Versailles. 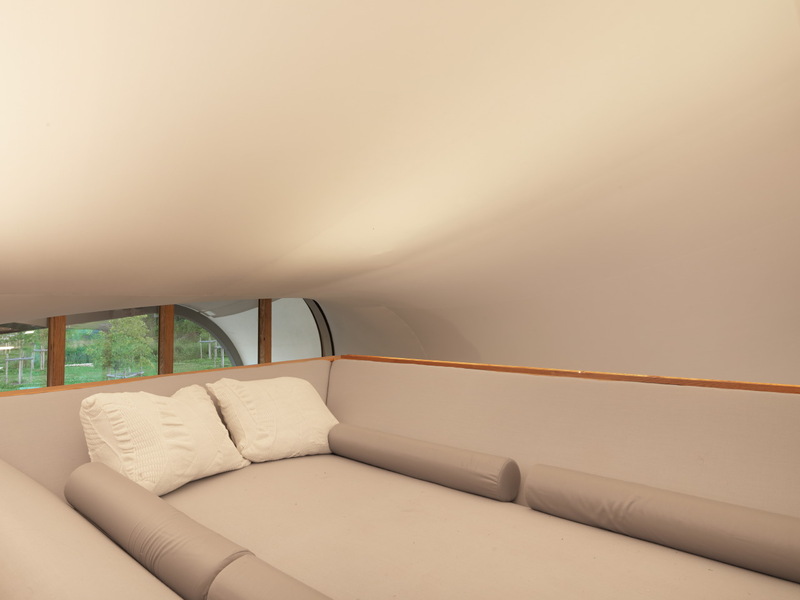 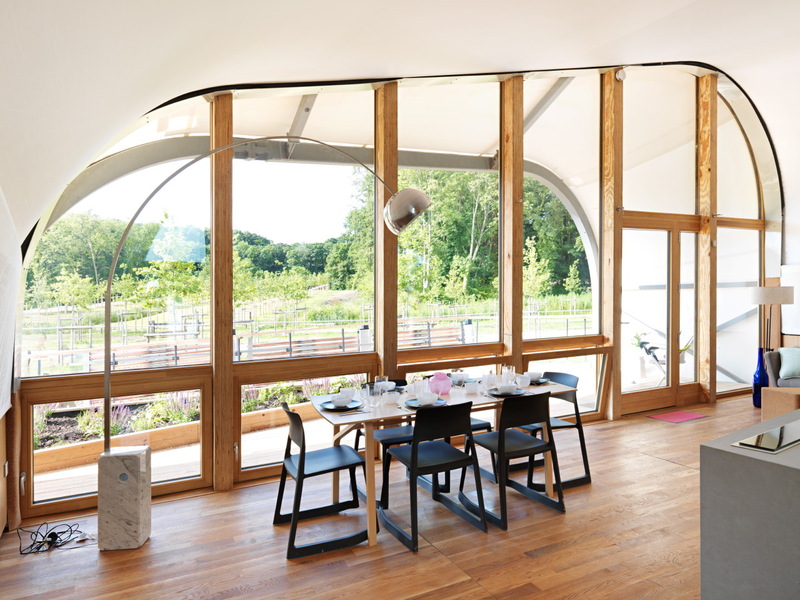 Currently, the Techstyle Haus resides at Domaine de Boisbuchet, the site of an annual art and design workshop, where it serves as a living laboratory and teaching tool as well as student housing. 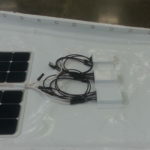 An in-depth video of the design can be viewed here. 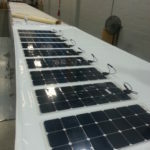 Colin Touhey, co-founder of Pvilion, said this project is a proof of concept for their flexible, scalable solar solutions. 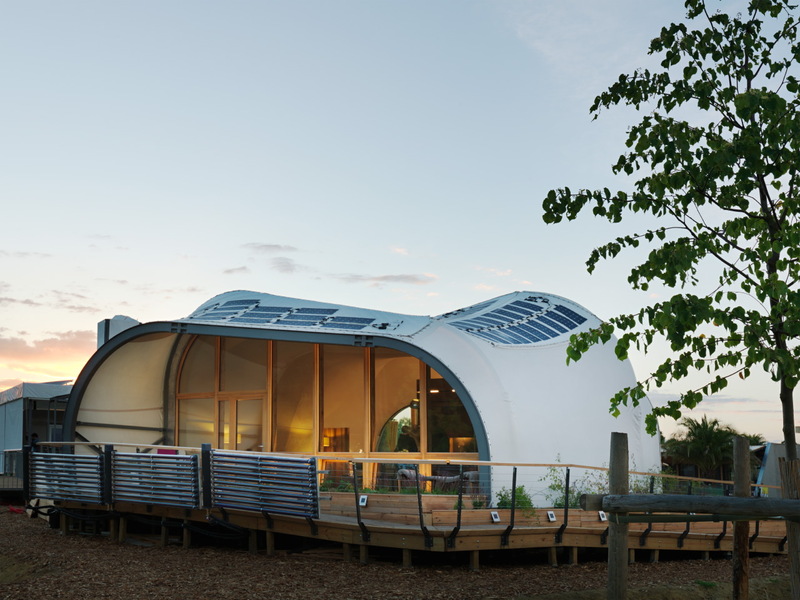 “Given the curvature of the form, the building produces more energy than flat or angled solar arrays.” Techstyle Haus was designed in concept to embrace a double skin tectonic. 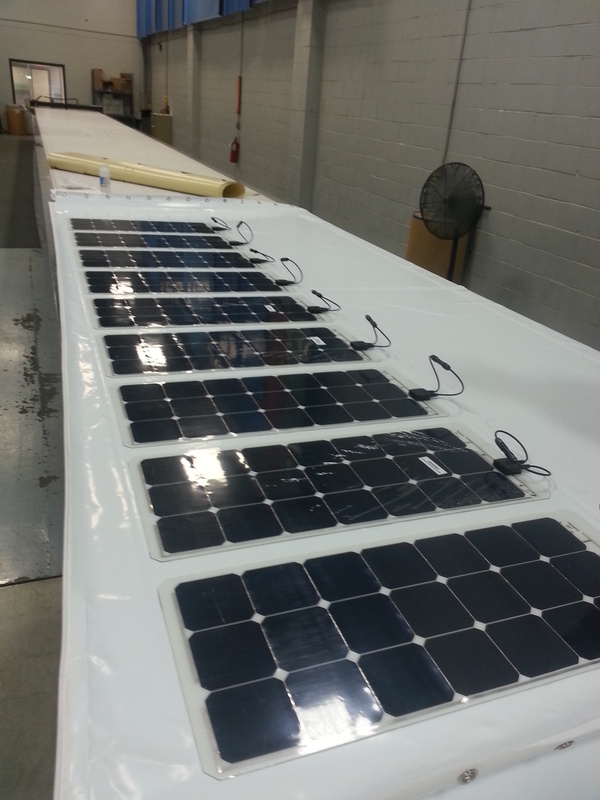 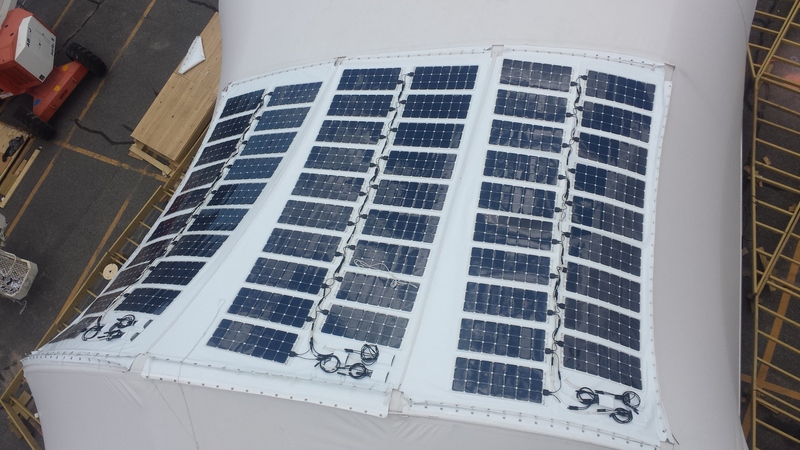 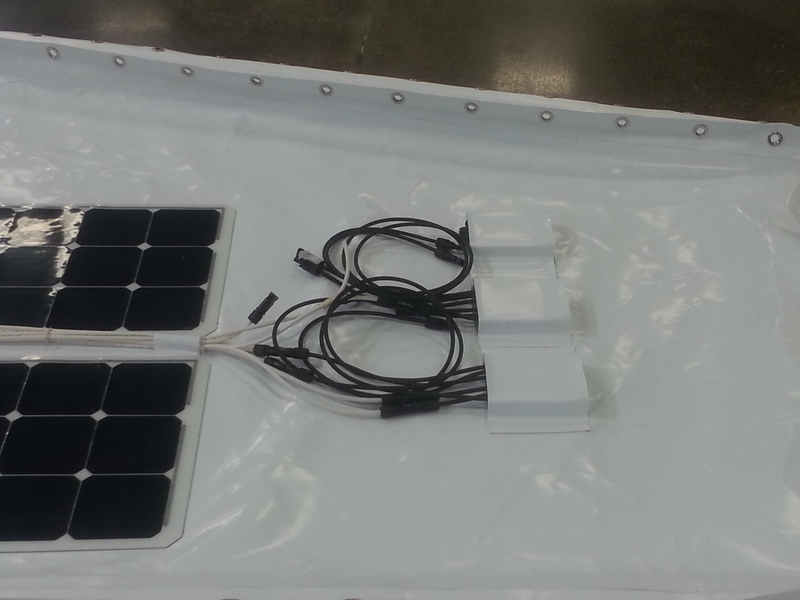 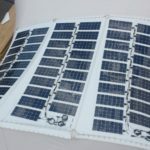 It’s PV modules are encapsulated in a thin sheet of plastic allowing for a lightweight assembly of shallow curves and folded surfaces. 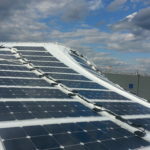 Building Integrated Photovolatics (BIPV) have become an increasingly significant topic within the advanced building systems design and construction community. 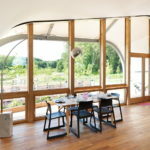 Rather than treating PV as an additive system requiring a separate metal support structure superimposed on a building’s roof, BIPV is an evolving practice of incorporating custom solar technology into the constructional logic of a structure. 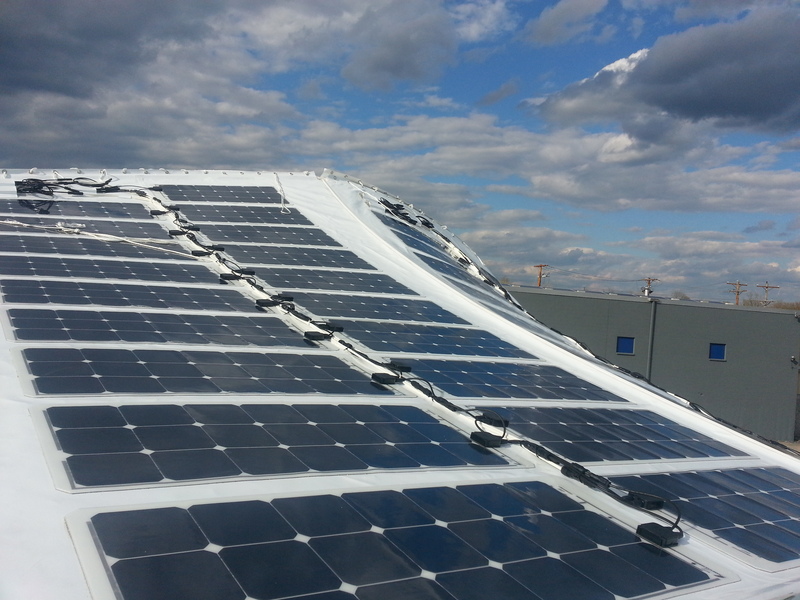 Often, BIPV projects see cost savings through the replacement of roofing tiles or other building elements with photovoltaic panels. 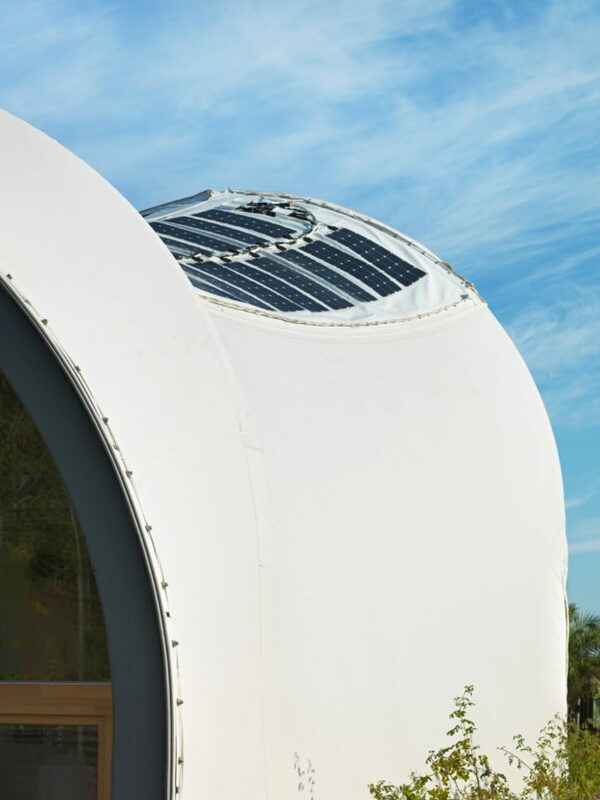 Half of Pvilion’s projects are facade-related while half are completely unrelated lightweight temporary and permanent structures—from outdoor clothing apparel to parking canopies and infrastructural projects. 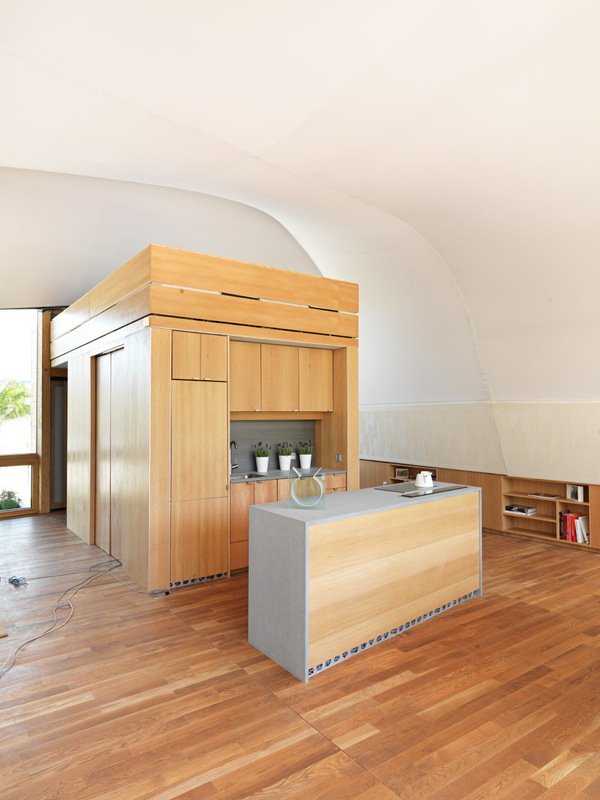 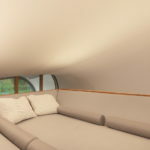 Touhey says their goal is to take the Techstyle Haus’ system—an interior skin, exterior membrane, insulation, PV, and wiring – and scale it up to a significantly larger context.